Welcome to The most positively reviewed Airport Parking in Melbourne! To make a booking for your airport parking with Free return airport shuttle please either call us on info@parkingport.com.au or simply email us for a quick prompt service. Parking Port offers the quickest, easiest and most secure form of booking for airport parking in Melbounre. No bookings can be taken until Tuesday 23rd. 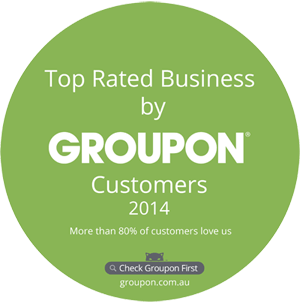 Welcome, you are on this page as you have already purchased your Groupon Voucher & ready to book. Please note that the time you should add below for "Drop Off Date and Time" should be for 30-60 mins before you want to be at the airport! The shuttles run every 15-20 mins, If you are running late simply email us or call us on the day that you are running late. If you are travelling with another family or group you must advise us of this below! Here are the details of your booking. Click the 'Book Now' button below and you're all done! We'll send you a confirmation email (If you used a @HOTMAIL.com email address please check your spam folder). Remember to bring your Groupon Voucher with you, See you soon. Make sure you added your Security Code? Please remember to bring in your purchased Groupon Voucher, either a printed copy or on your mobile. For any days beyond that of your Groupon Voucher (or part thereof) they are payable at the counter at $10 per day, this is based on per calender day. Your booking is now confirmed and booking details are below. You will receive a confirmation email shortly (If you used a @HOTMAIL.com email address please check your spam folder).. For changes or inquiries please email info@parkingport.com.au. *Please note* that if you have made your booking for within 24 hours of your drop off time you may incur a booking fee of $10 payable upon arrival.